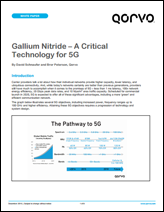 Wireless infrastructure is rapidly evolving into heterogeneous networks that employ many sizes and classes of base stations, including macro cell, metro cell, small cell and massive MIMO AAS. 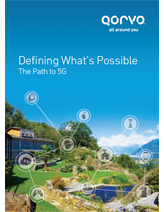 Global operators are already deploying 4G base stations in frequency bands up to 6 GHz. 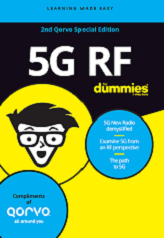 The continuing demand from subscribers for better mobile broadband experiences is encouraging the industry to look at millimeter wave (mmWave) frequencies to meet future demands for extreme capacity and ultra-low network latency. Qorvo offers a family of high-performance discrete RF components to provide flexibility to system designers, as well as the highest level of integration of multifunction building blocks to reduce size, lower costs and accelerate time to market. 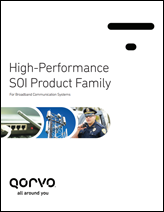 Qorvo offers a family of RFICs from DC to 90 GHz. 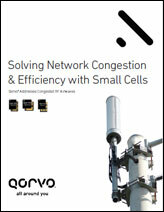 Qorvo provides base station manufacturers with a broad range of semiconductor and module technologies. Our RF products enable customers to meet new design requirements for repeaters, boosters and DAS.